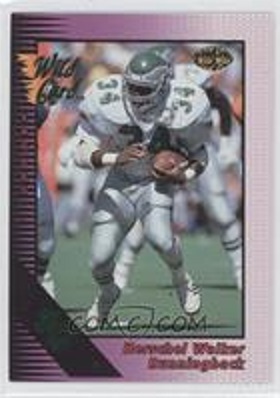 Many of the "stripe" versions of the Wild Card set are difficult to find. Even more so, when it's in either the "Running Wild", "Field Force", or "Stat Smashers" subset. I'm still trying to locate this 10 stripe card. Image is courtesy of COMC.com. All these wild card parallels confuse the heck out of me. I just came across your blog via TheLostCollector. I love reading about player collections and will be looking forward to reading this one. Be sure to check out my two blogs CollectingCutch and Chasing3000cards. Hi, I have seen your CollectingCutch blog. I'll check out the other one as well. What do you think about him going to the Giants?